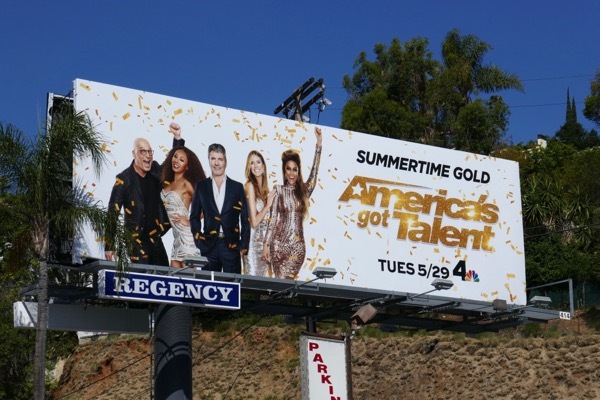 Someone who knows a thing or two about judging is Tyra Banks, but this time around she replaces Nick Cannon as the host of America's Got Talent for its twelfth season. 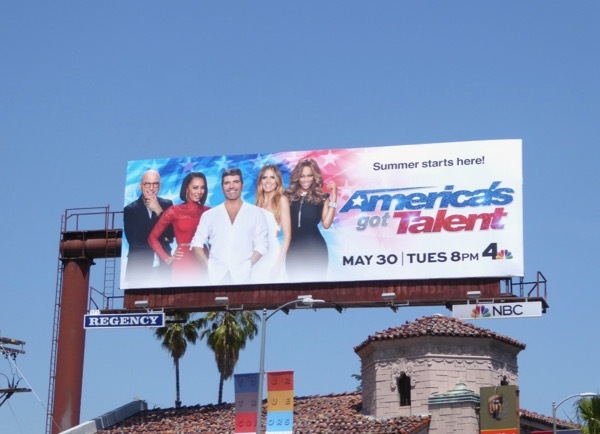 The former model-turned-presenter, who's also returning to her judging throne on America's Next Top Model, is joined by Howie Mandel, Mel B, Simon Cowell and Heidi Klum trying to discover the talented new singers, dancers, performers and entertainers hiding amongst America's population. 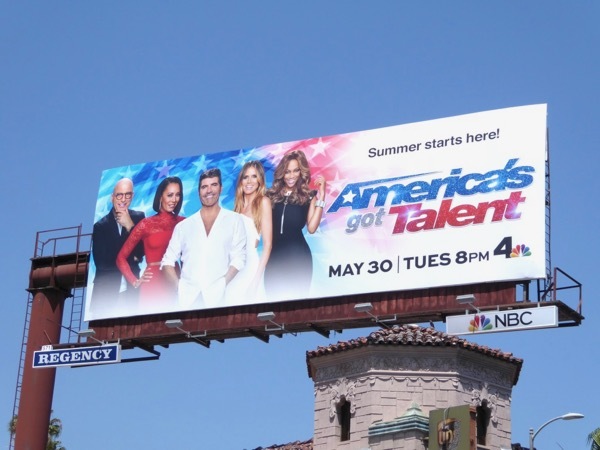 This patriotic season twelve billboard was snapped high above Sunset Boulevard on May 11, 2017, plus fans of the show can also check out these previous season promo billboards for America's Got Talent from years past. 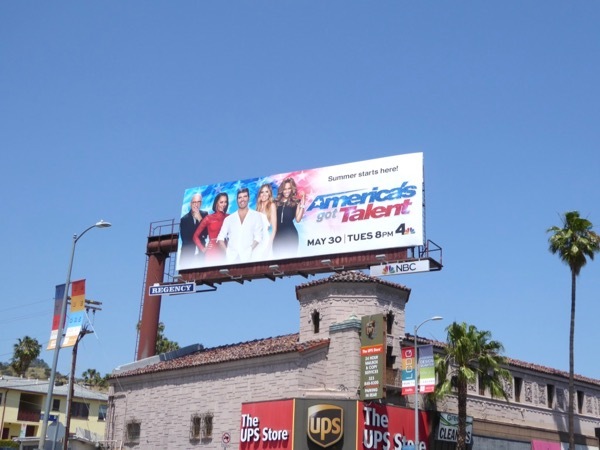 Does anyone else see the humour in an American reality talent contest being judged by a Canadian, two Brits and a German? 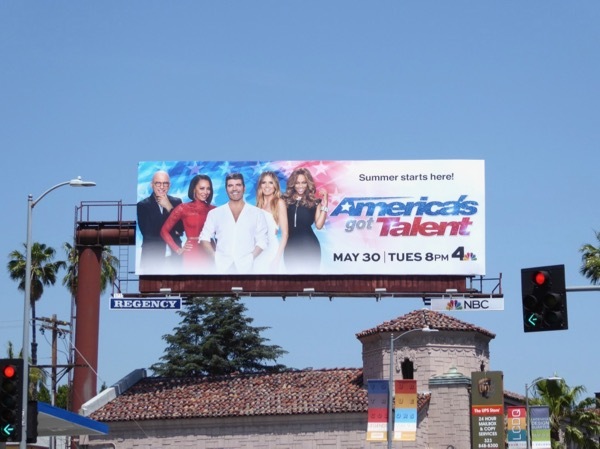 UPDATED: You can always tell when summertime is one the way when a billboard for America's Got Talent appears the city skyline. 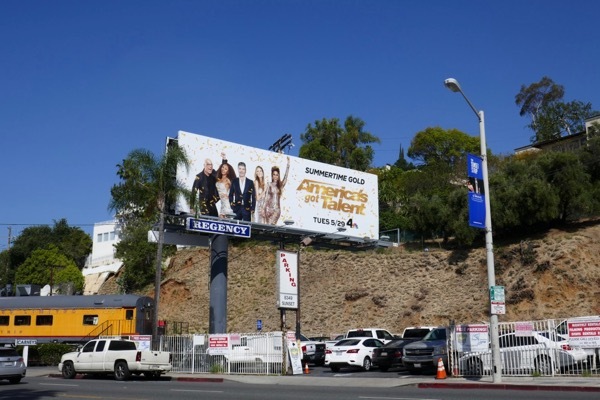 This season thirteen billboard was snapped along West Hollywood's Sunset Strip on May 11, 2018.